Whether you're new to running or a seasoned distance runner, some of these common running injuries can stop you in your tracks and spoil your fun. Home » Running Injures & Recovery Guides » What Are the Most Common Running Injuries? In this post, we take a look at the top 5 most common running injuries and give some useful advice on what you can do to prevent them. Common sites for painful blisters are the toes, ball of the foot, or heel. They are caused by excessive or prolonged friction on the skin, resulting in the outer layers of skin separating and filling with fluid. If you’re suffering, it could be because your running shoes are brand spanking new or because they’re getting old. New shoes need a little time to mould into the shape of your feet, so it’s not unusual to suffer a few niggles in the first few miles of wear. For this reason, it’s always best to wear new shoes in gradually, rather than find yourself miles from home with a crippling blister forming on your foot! Old running shoes lose their inner cushioning, and the fabric lining can simply become rougher in places through wear. Without the original padding, your foot will move around more, and the result – blisters. Avoid running in wet shoes, let them dry out before your next run. A burning feeling in the shin or front of the lower leg that’s exacerbated by running could be shin splints, caused by repetitive stress on the tibia (shin bone). Most commonly, the pain is muscular, but it can be the result of small stress fractures appearing in the bone itself. The pain feels most intense with each heel strike on the ground, but it may ease off as you get going on a run – only to rear its ugly head again as you step out of bed the next morning! Avoid sudden increases in mileage or sudden changes in any aspect of your training schedule as the muscles in your body, lower legs included, need time to adapt to the increased workload. Knee pain as a runner can be a dull ache in the muscles surrounding the knee that generally becomes more intense as you run, or it can be a much sharper pain that refuses to go away even when you’re not running. Often, the type of pain that increases in intensity as you run is an overuse injury that’s muscular in source, whereas the type that persists even when you’re not running could indicate a more severe medical condition and should be checked out by your doctor. Runner’s knee is one of the most common problems newcomers to running experience. Otherwise known as iliotibial tract friction syndrome, pain is experienced on the outer edge of the knee due to friction between the iliotibial tract (tough fibrous band) and the tissues that lie beneath it. Be aware of the potential for excess body weight to add to the workload on your knees; make sure your shoes give you the shock absorption you need and run those extra pounds off! This nasty condition primarily affects the sole of the foot under the heel, pain is experienced in the plantar fascia, a band of soft tissue running the length of your foot from heel to toes. The pain is exacerbated by walking or running, and it often leads to extreme difficulty putting your foot to the floor when you step out of bed first thing in the morning. It’s generally the result of taking up a new high impact activity such as running, but seasoned runners can also suffer if their running shoes are providing insufficient support for their running style. Always replace your running shoes before they’re about to fall off your feet. Get professional advice on beginning a programme of exercises to help strengthen and improve the flexibility of your feet. Pain in the Achilles tendon, felt at the back of your ankle, often begins as a sensation of stiffness first thing in the morning, but it generally gets worse as you begin your run and then eases off again once the muscles start to warm up. In some cases, the tendon becomes thickened and increasingly tender to touch. 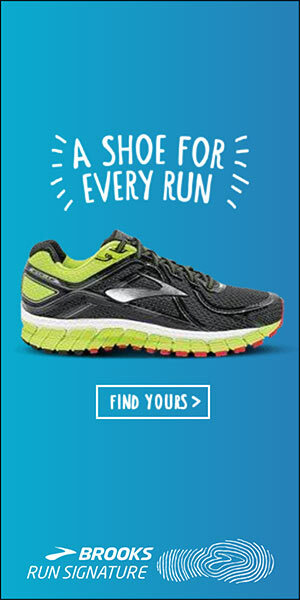 In short, always choose function over fashion when it comes to buying running shoes!